Our adorable and cuddly Personalized Love You Teddy Bear is a must for all hopeless romantics this Valentine's Day! 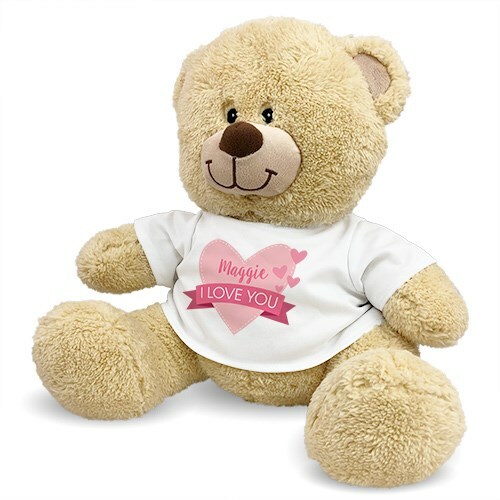 Let your sweetheart know they are your one and only with our adorable, romantic stuffed teddy bear - his shirt is personalized with any name, free! Choose between 3 bear sizes. Additional Details Find other great plush bears and gifts for your sweetheart in our Valentine's Day and Romance categories.